Nicole Sutton’s world has been turned upside down. 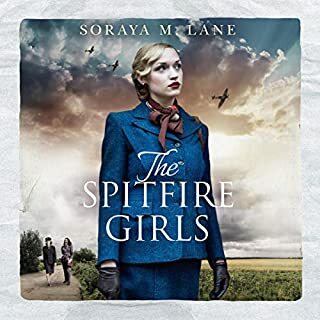 Sixteen and suffering the fallout of a devastating family tragedy, she is forced to move away from her London home to the quiet town of Henley - and a new life she never wanted nor expected. In the dusty cellar of her strange new house, Nicole stumbles upon a worn old journal left behind by a previous occupant. 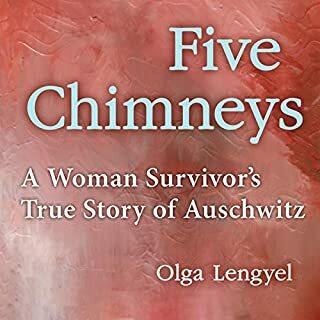 Inside, through the eyes of a soldier named Mac, she finds herself drawn into a brutally honest memoir of the horrors of war and Auschwitz - and of the life and love Mac had to leave behind. Wartime Holland. Whom can you trust? Sofie, a Jewish Dutch girl, struggles to adapt to living in Berkenhout, away from her family and friends. As weeks turn to months, she’s worried they’ll abandon her altogether. Young tearaway Jan likes to help, but he also enjoys roaming the woods looking for adventure and fallen pilots. His dream comes true, until he is found out. Henk is in charge of building the underground huts and organizing provisions to Berkenhout, but his contact with the Germans arouses suspicions. The topic behind the book seemed very interesting, but it was treated like fluff. Cakes and coffee on Sunday's, teenage crushes, boy's first smoking experience -- treated what could have been a great story very superficially. Not for me. In "The Hidden Village", the citizens of a Dutch community are called upon to shelter those fleeing from the Nazis. The people coming to them for help include Jewish children, downed American pilots, and German defectors. The story follows the characters through small joys, near misses, tragedy, and triumph. The characters are very real and relatable - so important in historical fiction! I would certainly recommend this for parents, guardians, and teachers to use as a learning tool. The book can be used to help teens contextualize what happened during World War 2. Please note that there are war related situations with violence which were difficult for me, as an adult, to process. I understand the story was written using historical accounts and stories combined with research. However, I felt like the ending (2 decades after the story) was a bit muddled and missed an opportunity to follow the characters through recovery and rebuilding. I would've been interested in a short introduction to the author's relatives, information about the real Berkenhout, and what happened to the survivors the story was based on. This was an educational and charming tale about Nazi occupied Holland during WWII. ‘Charming’ probably sounds a little odd for the subject but it was mostly a light-hearted tale about hiding in the woods and pulling the wool over the eyes of the Nazis. Jan, a lad of 11 years old, plays a major role in the story and for much of it, this was just one big adventure. It was exciting running messages and supplies to the Jews hiding in the woods (Berkenhout). He slips through Nazi hands again and again. Also, he’s found a few pilots that had to bail out. Sometimes his family helps out pilots or Jews by hiding them in their attic. So I can see how it’s all very exciting for the lad. It took me a while to like Sofie. She is separated from her family and lives in Berkenhout on her own as a teenager. There, she eventually learns to help out. I’m not sure if she had a maid come in and clean once a week before the war, but now she learns to cook and clean and eventually enjoys all the tasks she takes on. I’m going to show my ignorance here but this one little thing keeps niggling at me. The characters in this story (Jew or not Jew) all enjoy pork. Ham or bacon is nearly a daily ingredient in the cooking. There’s no discussion of ‘Oh, well, things are desperate and we really need the protein so we’ll eat pork even though it’s not kosher’. So was it common for 1940s Dutch Jews to eat pork? I don’t know and my few on-line searches haven’t answered the question. A few lines in the story would have educated me and cleared up that minor mystery. The ladies in general were comforters and romantic interests. When two or more got together, they almost always talked about boys or men. I was a bit disappointed in this aspect of the story. We all know that the ladies did plenty in WWII besides the cooking, cleaning, reproducing, and flirting. The last hour of the book gets very serious and it was a definite change of tone from the rest of the book. Unfortunately, several people die or are injured. There’s also the question of whether or not a certain side character betrayed the people of Berkenhout. Unfortunately, that mystery is never clearly answered. I enjoyed the two pilots. One was a Brit, Nigel. Then later in the book there’s Donald, an American from Ohio. Both were welcomed into Jan’s house, partially because Jan and his mom (who is British) speak English. They both made a good counterpoint to Jan’s dad, who was always in a bad mood and rather gruff with Jan. After Jan’s older brother Oscar went off on a small mission for the local resistance, Jan didn’t have a steady male mentor. Both Nigel and Donald treated Jan well and appreciated his help. Liesbeth, Sofie’s best friend from school, is a small comforting presence for much of the story. At the end she plays an important role and I liked her all the better for it. Though once again, I had some questions about how Liesbeth’s generosity changed her life and how she pulled it off. So, as you can see, it was educational for me (who knew nothing about Nazi-occupied Holland before reading this story) yet it left me with several small questions. 4/5 stars. The Narration: Liam Gerrard was great for this story. He was the perfect, excitable Jan. He also had believable female voices. I know it would be a lot to ask for, but I would have enjoyed a Dutch accent for the Dutch characters… but that would have been the majority of the book so I understand why it wasn’t done. Gerrard used a light British voice for the majority of characters, which was perfect for the two British characters but it did make it feel like the story was set somewhere in the UK rather than in Holland. Gerrard had a good German accent for the Nazis and the one German defector. I also liked his American accent for Donald (who is from Ohio). His pacing was good too. There were no technical issues with the recording. 4.5/5 stars. The book tells the story of the inhabitants and refugees living in the fictional village of Berkenhout during WWII. In the prologue, the author mentions that the book is a compilation of stories told by a relative. I was interested in this book since I've visited the Netherlands several times since I lived in Belgium for some years. It was an enjoyable tale, with likable characters and heartbreaking stories. I think historical fiction is one of the best ways of learning about history, and this is a good example of it. There has been a good amount of research in writing this book, and I do appreciate the few words in Dutch scattered throughout the book. Even though I really enjoyed the story, there were some aspects that prevented me from granting it a 5-star review. I think the book would have impressed me a lot more were the characters more developed. They were many, with a very brief introduction for each of them, and at times they blended a bit into each other. I was not able to connect with them, and I didn't much care about their luck. I think the book would have worked much better if told from the perspective of one of the characters, providing more insight and more character development. Liam Gerrard's narration was quite good, providing with different voices and styles to the characters, and bringing them to life through great character interpretations. Gerrard really helped in creating more vivid characters and adding interest to the story. His pronunciation of the Dutch language was quite decent but I spotted a couple of mispronounced words, and the fact that Brabant is pronounced in two different ways (one right, one wrong) just caught my attention. Nevertheless, Dutch is not an easy language to pronounce, and I think Gerrard did a very good job dealing with it. I think the book is what it is: a collection of stories and anecdotes from terrible times, with lots of interesting information for the history aficionado. 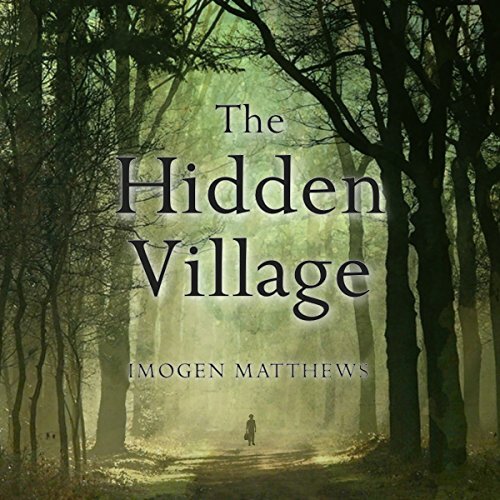 The Hidden Village by Imogen Matthews accompanied me through the last few weeks as I have transitioned my family to a new home. As an audiobook it resonated in my ears and heart while I packed, cleaned, and unpacked our family. It really was a delightful and engaging story. That may seem like a strange description for a book all about nazi-occupied Holland. However, the nature and youthfulness of the characters throughout the story provided an innocence during a scary and intense period of their lives. The premise of the story being about a hidden underground hiding place (Berkenhout) for those needing refuge was a really interesting and exciting twist. It made this book very different than others I’ve read in the same time period. I cannot even imagine living underground, and many of the sentiments communicated by the characters seem to be just the tip of the iceberg about what life would be like in these extreme circumstances. Matthew’s choice of having the main characters be teenagers and preteens gives the story of very different spin. I found several of the characters to be naive and their childhood innocence was foundational to how the story transpires. Giving this story a very unique perspective. 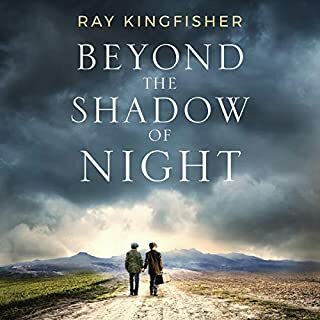 Without giving too much away the story it does become less predictable and intense in the end which definitely took me by surprise and kept me listening. There were characters I immediately took to and others like Sophie who grew on meme over time. Liam Girard, the narrator, did a great job of pacing and intonation. He has an accent himself and it was definitely appropriate for several of the characters. His voice was also very believable across genders and I loved when he did utilize a German accent for others. Occasionally I found it challenging to decipher some of the Dutch characters simply because there was not a Dutch accent used and since that is the setting of the story occasionally I would have to backtrack to listen again. I will be honest and say this may not be entirely due to his narration, but to the fact that I was multitasking. One reason I love historical fiction is because it teaches and brings me a better understanding of different time periods. This story was no exception. I have read some historical fiction in this era, but nothing quite like this story; and it left me intrigued and wanting to read more. 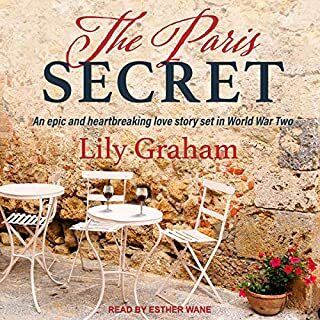 Thanks to Audiobookworm Promotions for providing me with a copy of the story so that I could participate in the blog tour. The tour is being sponsored by Essential Audiobooks. The gifting of this audiobook did not affect my opinion of it. This story takes place during WW II. It tells of a town that resisted the German's to help those that the German's wanted to take. It is amazing how much the resistance makes a difference to many. The characters are well described and have a great persona. We have never heard much about what war was like for the Dutch. It is interesting at there reactions to the Germans here at the latter part of the war. I received this audio book free from the author for review. I really liked the book. Historical fiction is currently my favorite genre. 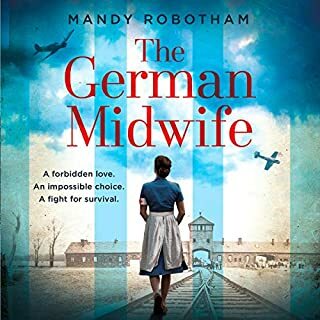 The story is based on the story of a former underground village that the author visited and her mother's stories about living in Holland during WWII. The story is very believable and moving. The characters are very realistic and likeable. I took a star off the Performance rating because I think I could have followed parts of the audio book better if the voices of each character would have been more district as in some other audio books I have listened to. 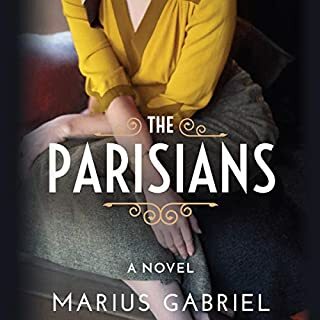 The story is fast paced and with interesting detail of what ordinary people went through during this extraordinary time. This is such a gripping book, exciting, scary, moving and compelling. Felt like I was right there alongside the characters feeling exactly what they were going through! Would highly recommend for anyone who wants to experience the whole range of human emotions and a hear story that will have you thinking about it even when you've stopped listening. Brilliant! !